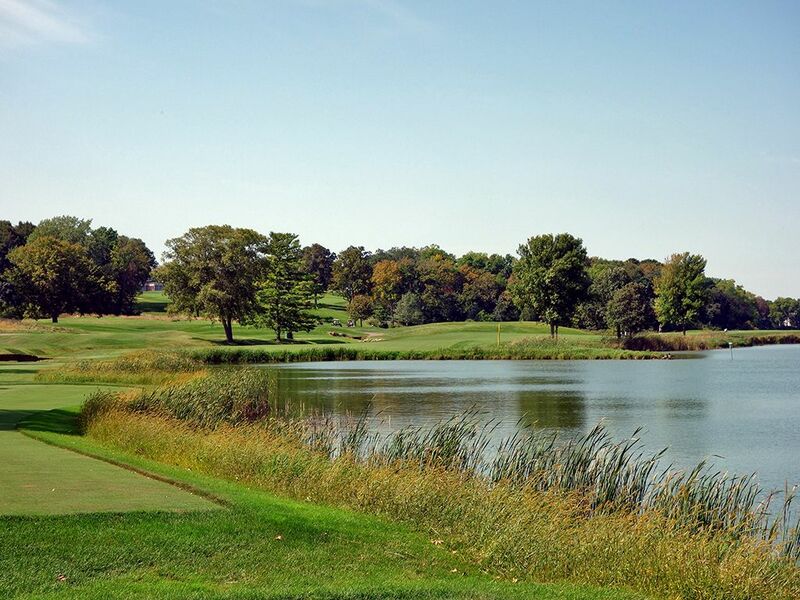 Course Website: Official Website - Visit Hazeltine National Golf Club's official website by clicking on the link provided. 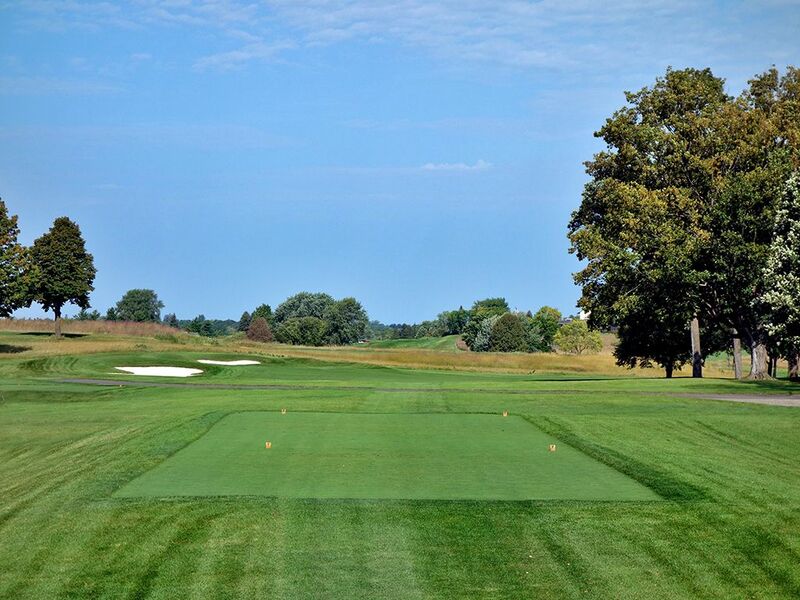 What to Expect: A course with a steep tradition in championship golf, Hazeltine National is the go-to location for the USGA and PGA when it comes to hosting an event in Minnesota. 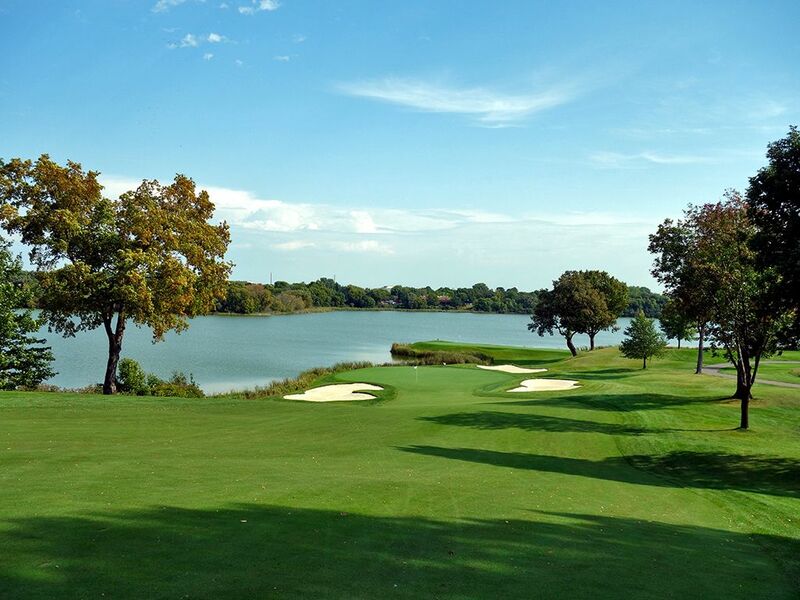 Hazeltine quickly became known across the country when it hosted the U.S. Open just eight years after opening. However, it was more of a rise to infamy than it was a rise to fame as the course took verbal abuse from the players in the 1970 U.S. Open when nearly half the field didn’t break 80 on the first day. 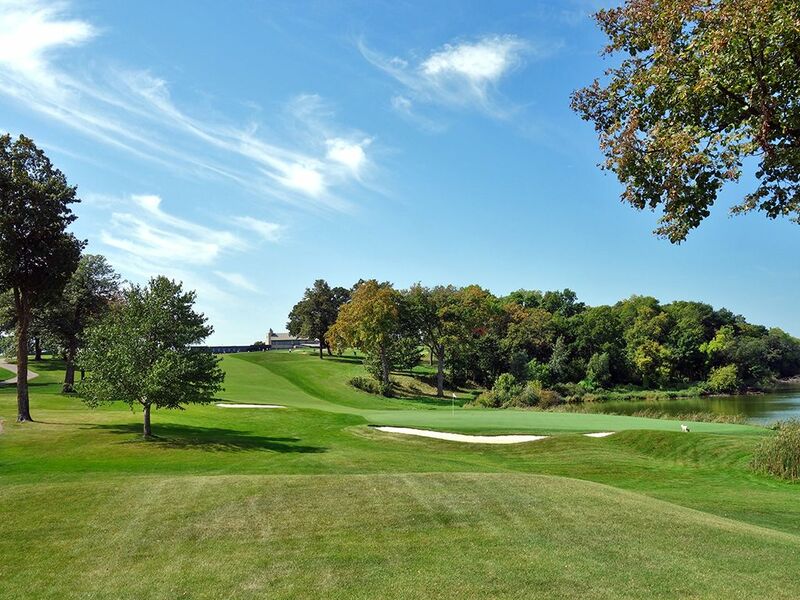 Located west of Minneapolis, Hazeltine is located on gently rolling terrain and features a design built to test the best players in golf while boasting over 100 bunkers throughout the routing. Renovated in preparation of the 2016 Ryder Cup, the brilliant white sand in the bunkers is both striking and fantastic to play from. 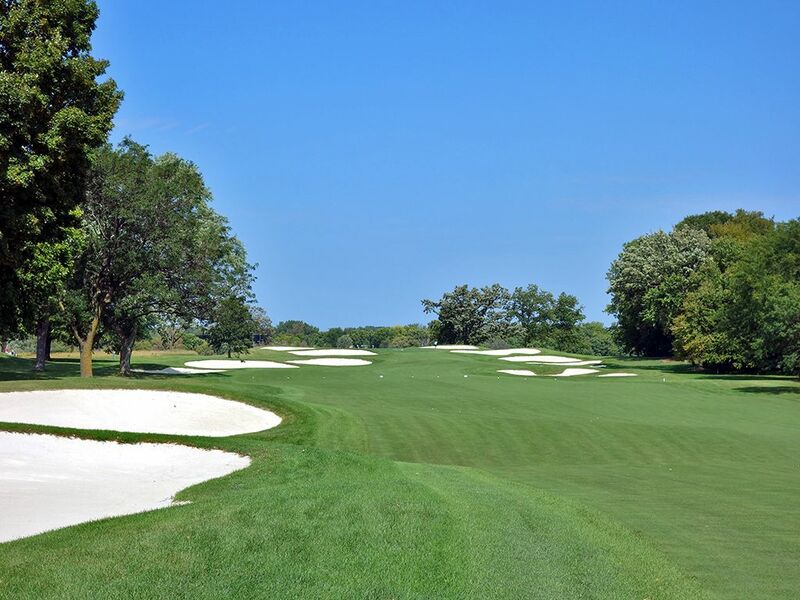 In addition, the conditioning of the course is top notch with firm fairways and beautifully rolling greens that give you exactly what you deserve. 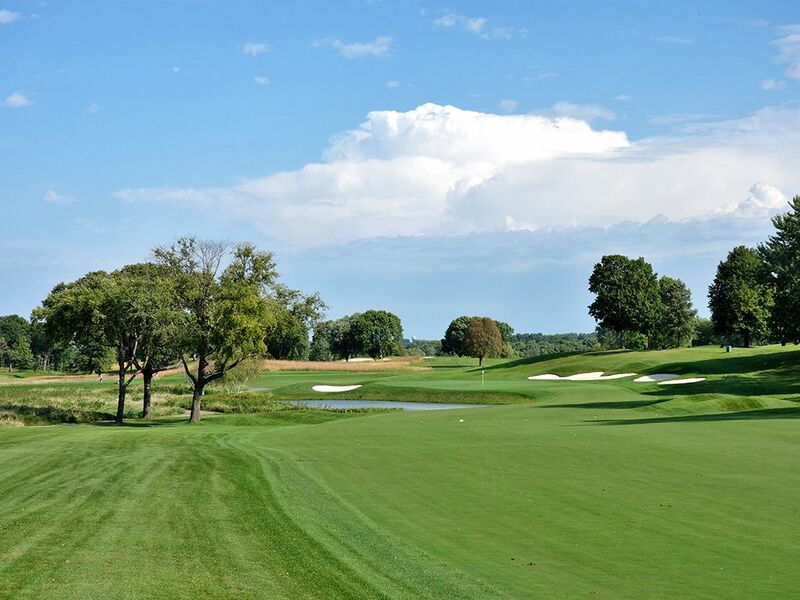 While the test at Hazeltine is solid, the architecture lacks creativity with the 10th and 16th holes being the only compelling offerings; but they pack some serious punch and rank as two of the best holes in the state. 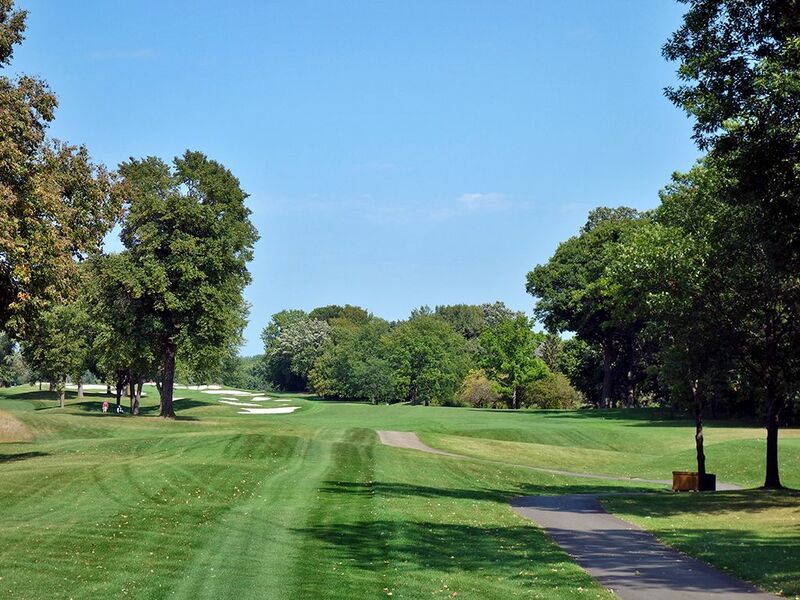 Players are given the option to ride a cart if they wish but walking is encouraged, especially with the caddie program the club offers in an effort to stay true to the roots of the game. 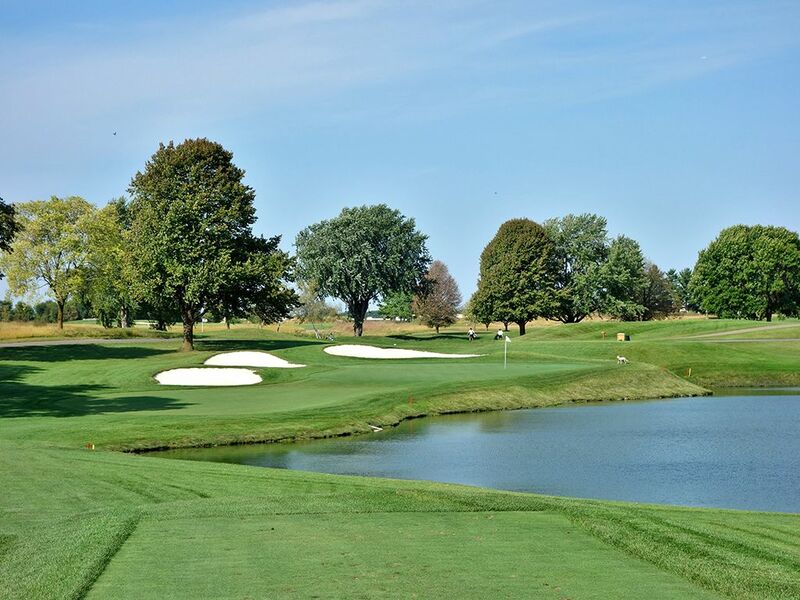 In the end, Hazeltine National is a worthy experience considering its tournament history lacks the compelling architecture to be considered amongst the elite courses in the country. 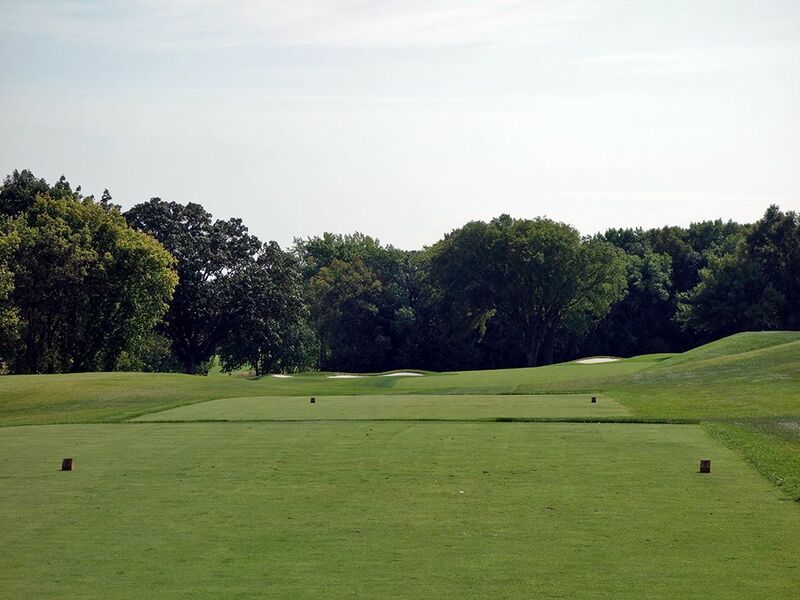 Signature Hole: 16th Hole – 402 Yard Par 4 – Not only is the 16th the signature hole of Hazeltine National, it is arguably the signature hole for all of Minnesota. This two-shotter capes to the right around Hazeltine Lake while an outlet stream carves down the left side. 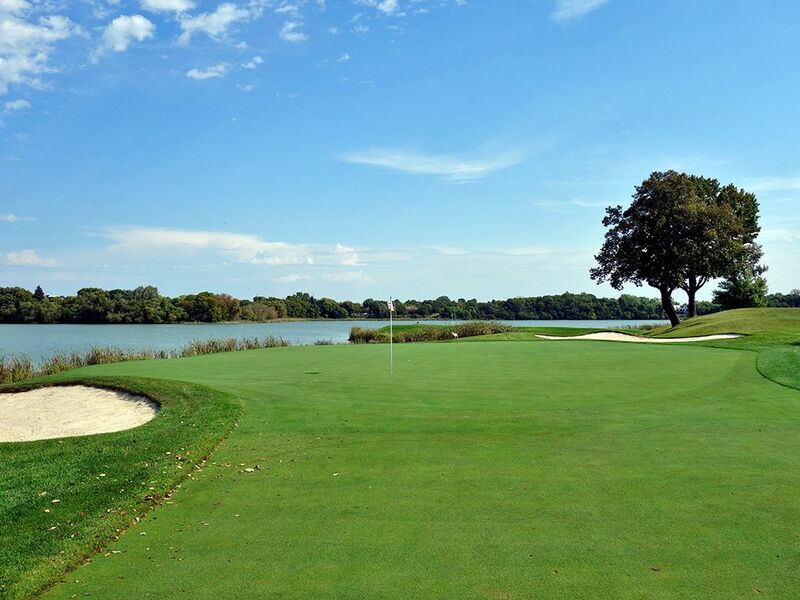 The peninsula green pours fear in the hearts of unconfident golfers but the putting surface opens up to the center of the fairway so there is little reward for challenging the lake on the right too much. There are no bunkers to contend with but there is also very little forgiveness around the green so you have to be spot on with your approach. This is a beautiful hole and one you can score well on if you don’t get too greedy. Best Par 3: 8th Hole – 166 Yards – The distance shouldn’t be intimidating but the surrounds can be on this intriguing one-shotter. A pond sets the boundary for the front and right sides of the green while two bunkers hug the left and a single bunker blankets the back of this modest sized putting surface. A back right pin is the sucker location while anything on the left half should have you pinseeking. Best Par 4: 10th Hole – 424 Yards – If the 16th hole didn’t get so much hype, the hole you would always hear about at Hazeltine is the 10th. 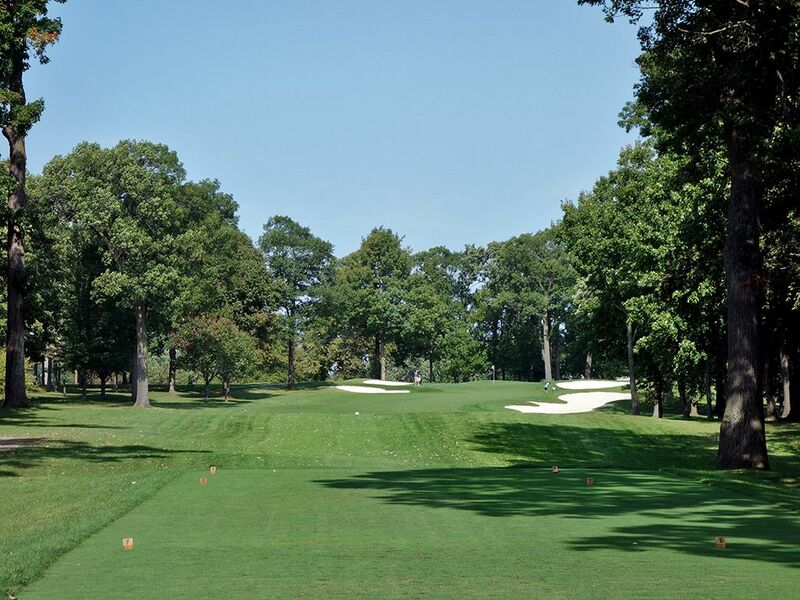 This bold par four features an unassuming tee shot to a landing area that is only partially in view and is flanked by a trio of bunkers on the left and a single bunker on the right. 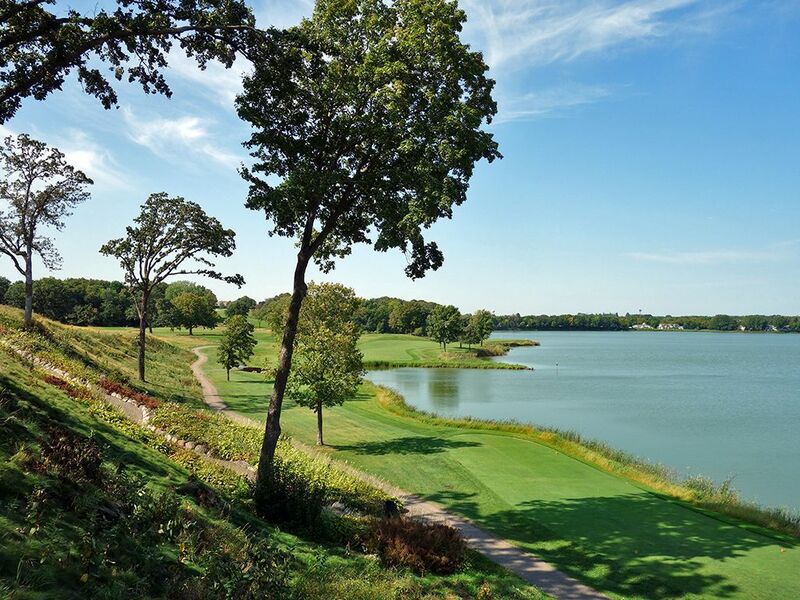 The fairway then doglegs hard left and plummets 35 feet to a green set against Hazeltine Lake. Every corner of the green is protected with sand or water so the only safe route to the putting surface is through the air or a tumbling shot through the opening in the center of the green. The approach shot on this hole offers the most impressive views at all of Hazeltine. Best Par 5: 7th Hole – 572 Yards – The double dogleg 7th forms a reverse 'S' shape and gives players a risk/reward proposal to consider. 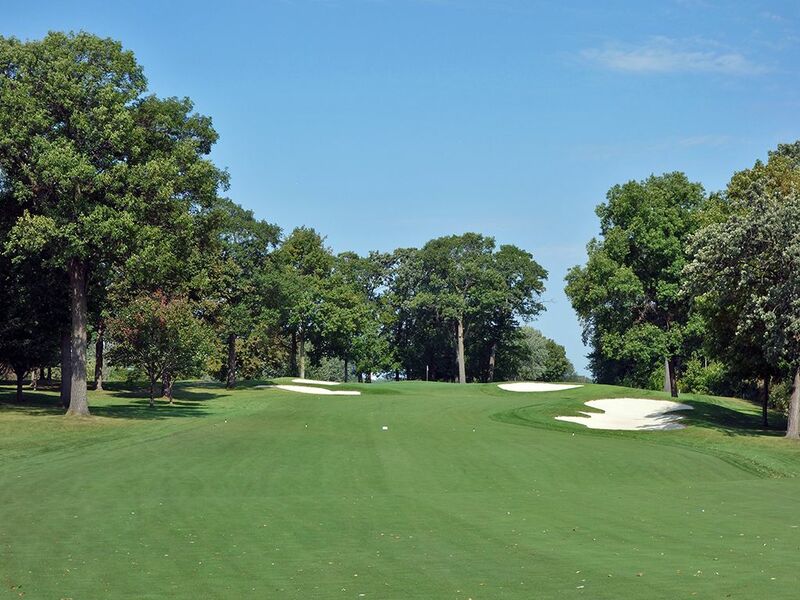 The unassuming tee shot features a pair of fairway bunkers on the left side and asks for a baby cut shot that follows the turn of the short grass. 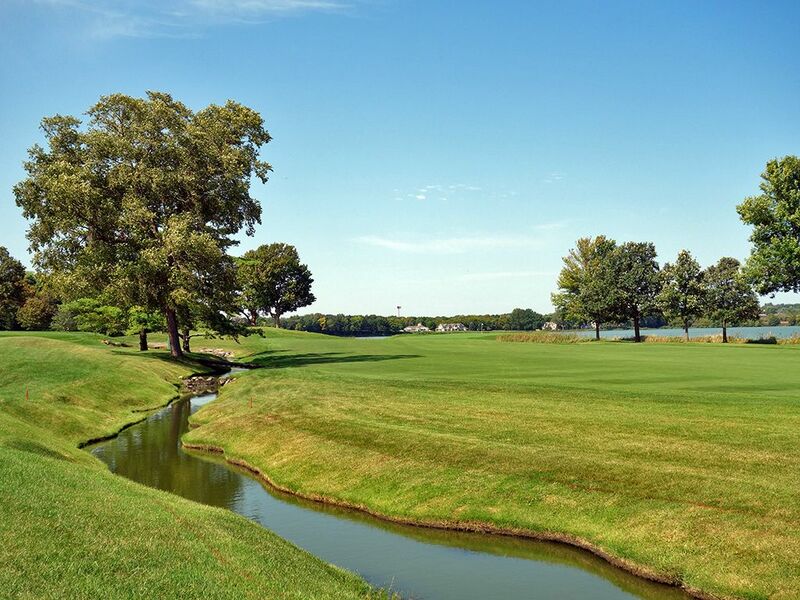 The fairway then travels towards the green with a slight turn back to the left at the end as it terminates at the pond imposing the front of the green. Some fairway is offered on the right side to work a ball in but if you don't play it just right you may end up in one of the three bunkers waiting outside the first cut. Players that can fly the ball to the green or have confidence in hitting the 15 yards strip of fairway leading into the putting surface can take their chances at reaching this green in under regulation and hopefully gaining a stroke back on the field. If you go long there is some recovery room from some longer grass so you definitely want to take the longer club if you are in doubt on which stick to pull. Birdie Time: 14th Hole – 352 Yard Par 4 – The short 14th is a reprieve from the beating of long holes that Hazeltine is well known for and an opportunity to throw a birdie on the card if you haven't been able to yet. A 30 yard long bunker flanks the right side of the fairway and asks players to layup short of it or take their chances bombing past it where the fairway opens up again. Players hitting past it need to avoid the bunker positioned 35 yards short of the front edge of the green on the left side to set themselves up for a simple pitch into the putting surface. The green is a fairly generous target for a hole this short so go flag hunting here and give yourself a short putt for birdie; you're going to want the insurance heading into the next hole. 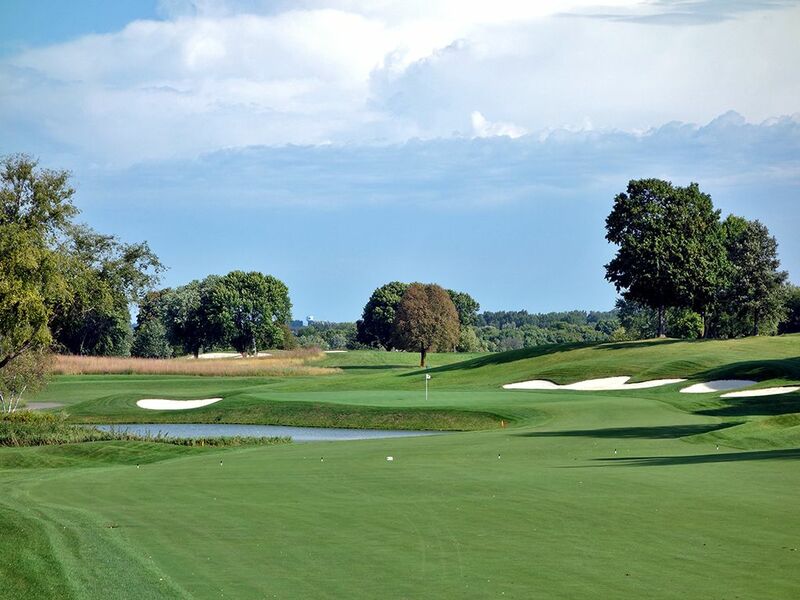 Bogey Beware: 15th Hole – 642 Yard Par 5 – Nearly 100 yards different in length between the Blue tees and one set up at the Gold tees, the 15th is a bear when you are tipping it out at Hazeltine. A total of 14 bunkers come into play on this hole; more than double the total number of bunkers on my home course entirely. With nine of the bunkers being found on the left side of the hole one would think that staying to the right would be the safest play, however out of bounds lines the entire right side as this portion of the property abuts a housing development and will cost you stroke and distance if you put it in someone's backyard. This is a long and methodical hole with little opportunity to cut distance off and a small climb to the green at the end of your trek. 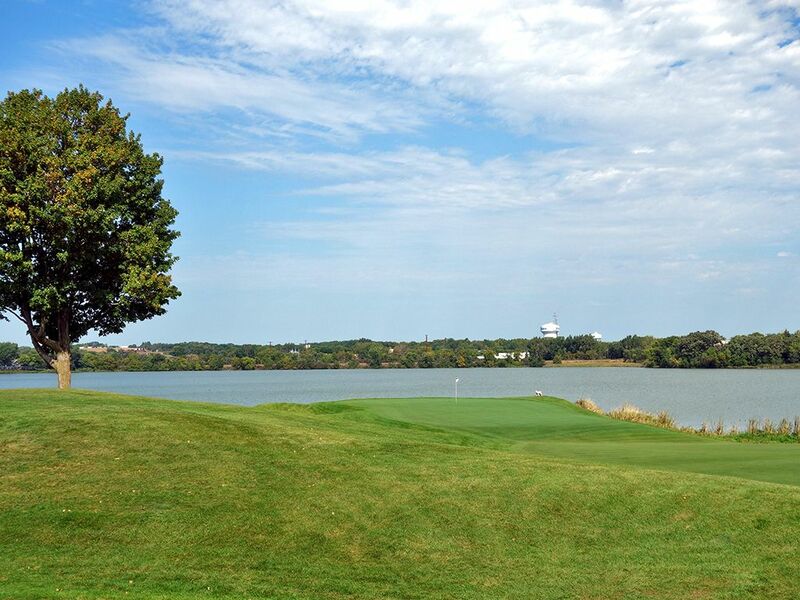 You may suffer a bogey here, but the view of Hazeltine Lake and the surrounding area from this green may be worth it.